Building and managing your employee training program has become much easier with modern training platforms. But designing and running it correctly is still the responsibility of the training manager. Like most things, getting a corporate training program right can be challenging at first, but becomes easier with practice. 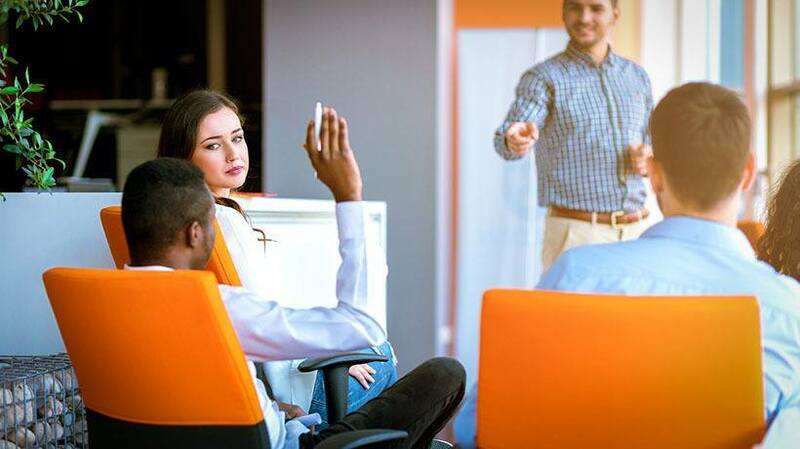 To save time and benefit from our experience, here are 7 tried and true tips to help you improve your employee training and development. While study-at-your-own-pace eLearning is a great alternative to traditional training for most cases, it's not meant to replace it entirely. Certain skills are still better taught in person. This category includes skills that involve physical action (e.g., operating hardware equipment) or depend on personal interaction (e.g., sales techniques). If your training courses cover such skills, one easy way to improve training in the workplace is to adopt a mixed training approach that combines Instructor-Led Training (ILT) with regular eLearning. This training style is known as blended (or "hybrid") learning. The ILT part of blended learning doesn't have to take place in some physical classroom. Instructor-Led Training can refer to both traditional lectures and teleconference (or webinar) sessions. 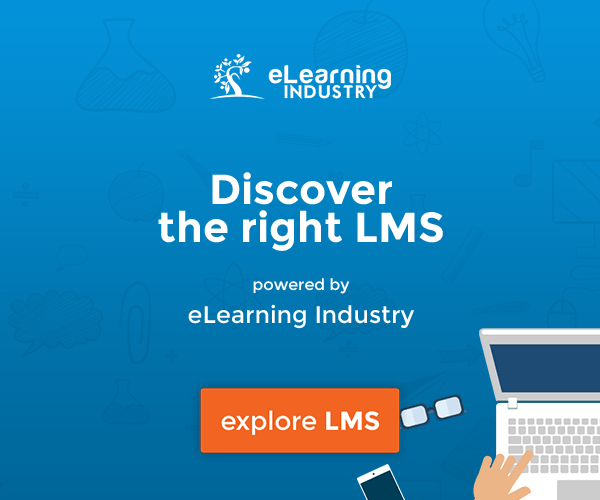 A modern eLearning platform such as TalentLMS will allow you to combine all these options and seamlessly schedule, manage, and monitor your ILT sessions along with your regular online training courses. You can't improve what you can't measure. If you want to improve the effectiveness of your employee training and development program, you first need to measure it. Fortunately, modern LMS platforms make it easy to get all kinds of statistics on the progress of your learning program. While smaller companies might choose to opt out of using them, training analytics is especially important for larger organizations. As the number of learners and courses increases, and perhaps spans multiple training groups, departments, and branches, it's impossible for instructors and training managers to stay ahead of training developments on an individual level. A training curriculum is not a bunch of distinct courses. Rather, it's an educational journey, and the courses a learner takes are stops along that adventure. Instructors call such a collection of courses a "learning path". And a well-thought-out training program should offer multiple learning paths for employees, based on their existing skills and future career goals. When designing your employee training and development program, start with the job positions that you want to train your staff for, and combine courses in ways that let employees of different learning levels progress to higher roles. During this stage, it’s important to take employee feedback into account. You can gather input from regular employees through a company-wide survey, and sit with team leaders and management to discuss mid- and long-term skill needs on a higher level. After you've come up with a basic training program, use the testing functionality of your eLearning platform to identify skill gaps and assign employees into different learning paths. Don’t insist on everybody following a curriculum from beginning to end. Allow employees that already possess some of the skills that their learning path is meant to cover to jump directly to more advanced courses. If possible, have instructors sit down with individual employees – especially your top talent – to identify key areas of improvement for the employee, and come up with personalized learning paths for them. To improve your corporate training program, you first need to understand its purpose. What are you trying to achieve through your corporate training? Do you need to increase productivity? Do you want to improve your management? Are you trying to close existing skill gaps? Do you want to teach your staff the skills required to enter a new market (or even a new industry)? Do you want to increase knowledge retention or battle employee churn? Use your answer to these questions to come up with a mission statement – a set of high-level concerns and principles to guide you in the implementation and assessment of your training program. A mission statement is meant to describe and reflect your overall corporate training strategy and help you improve training and development in your company – not to detail and micromanage every aspect of your training program. It should not be set in stone either. You should be flexible with aspects of it that don't work for you anymore, and adapt it to cover new business goals and changing market conditions. Leaving soft skills out of your training schedule is one of the most common corporate training mistakes. While hard skills are crucial for everyday workflows, soft skills are equally necessary for management positions and roles that involve customer interaction. Your training program should strike a balance between teaching hard technical skills (office software, accounting, etc.) and promoting soft skills such as leadership, decision making, time management, and conflict resolution. Soft skills training is a good fit for a blended learning approach, as many of them involve cross-personal interaction and are hard to cover in a regular online learning course. Use the Instructor-Led Training tools of your LMS, such as teleconferences, webinars, and in-person training sessions, to teach people skills in a realistic setting, and regular eLearning material to cover the theoretical aspects. To improve your corporate training program, it's not enough to take your business goals and training ROI into account. You also need to understand what your learners need, what their career goals are, and how your training program affects them. Upper management can help determine long-term training goals and skill needs, but they won't know the current "truth on the ground" needs as well as your regular employees. Even skills gap tests can only tell you so much, since they are based on a predetermined set of questions. To improve your corporate training program, go directly to the source. Ask your employees to tell you which skills they need (or want) to learn, and which courses they believe will have a significant impact on their productivity. Observe their everyday workflows, too. Some skill gaps will be clear to an observer but not to your employees because they’ll be so used to one way of doing something that they can't imagine a more productive alternative. Last but not least, your support desk (if your company has one) will be an excellent place to search for skills that you need to teach. The majority of employees open the same type of tickets (often repeatedly), from which you can easily spot general trends that reveal skill gaps and common workflow disruptions. Even the best corporate training program will fail if management can't motivate employees to embrace it. Such motivation can take several forms. But in general, they all boil down to recognizing and rewarding training efforts. To encourage and nurture a learning culture, combine symbolic rewards (e.g., gamification points and badges), psychological recognition (e.g., encouragement from instructors or management), and tangible rewards (e.g., promotion opportunities, office perks, bonuses, and so on). Your goal is for staff to view skills development as necessary for their professional development, as opposed to a temporary annoyance that interferes with their actual work. Don't just celebrate training results (e.g., course grades). 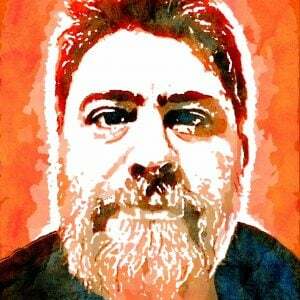 Also look for, and reward, the application of newly learned skills. This will help employees connect their training to their everyday workflows. This concludes our list of tips for improving your corporate training program. Have you tried some of these at your company? What other methods have you used to improve the training and development programs for your employees? Drop us a line if you think that we've missed something important. Do you have some useful tip or technique that you want to share with our readers? 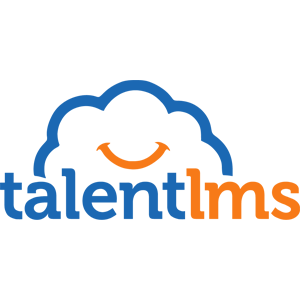 Oh, and if you need a modern and full-featured LMS to try our suggestions in, look no further than TalentLMS. It's cloud-based, so there's no installation required, and it comes with a free-for-life account, so it won't break the bank either. Try it today – it comes with all the features you need to design, build, deploy, and manage staff training and development programs for businesses of any size.